You must make reservations at least 5 minutes in advance of the time at Five Sails Restaurant. 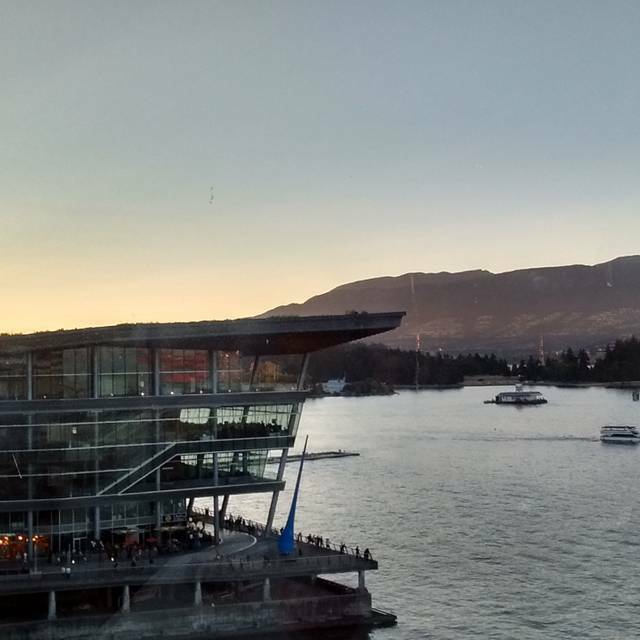 Public parking is available at Canada Place and valet services are offered based on availability at the Pan Pacific Hotel entrance. Flat fees for parking apply after 6:00pm. The closest bus stop is located at the Sea Bus Terminal at the North end of Granville Street and Cordova Street. Proprietors, Chef Ernst Dorfler and Gerry Sayers invite you to experience their unforgettable combination of breathtaking views of Vancouver, fresh and fabulous 4 Diamond award winning cuisine and gracious hospitality in their beautiful, private restaurant located inside the Pan Pacific Vancouver. 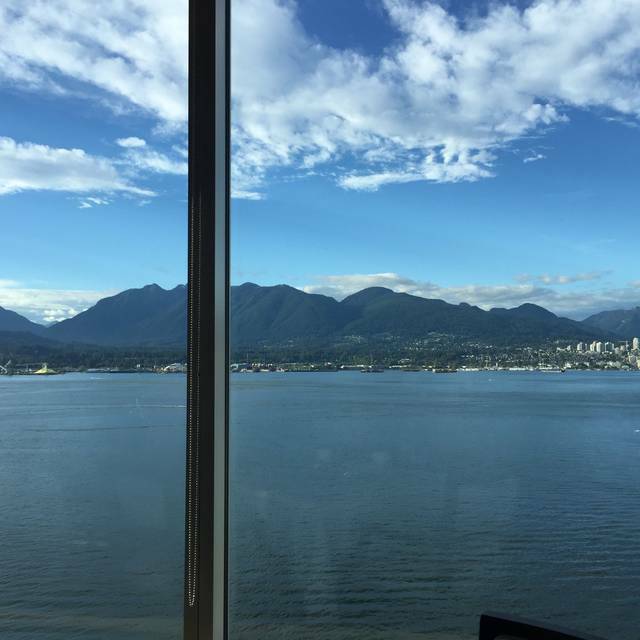 The Five Sails features world class dining in an unmatched setting with stunning views of the water, mountains, and Stanley Park. There is an intimate private dining room for up to 20 guests, a chic bar/lounge area with modern fireplace and the addition of cozy, elevated booths for more relaxed dining. Proprietors, Chef Ernst Dorfler and his wife Gerry Sayers offer their hands on attention to detail with beautifully presented cuisine featuring modern classics with European influences on their seasonal a la carte menu, vegetarian menu & Chef's Tasting menu with wine pairings selected by Sommelier, Ramon Fresneda. Citrus Butter-Poached Whole Atlantic Lobster 1½ Lbs. 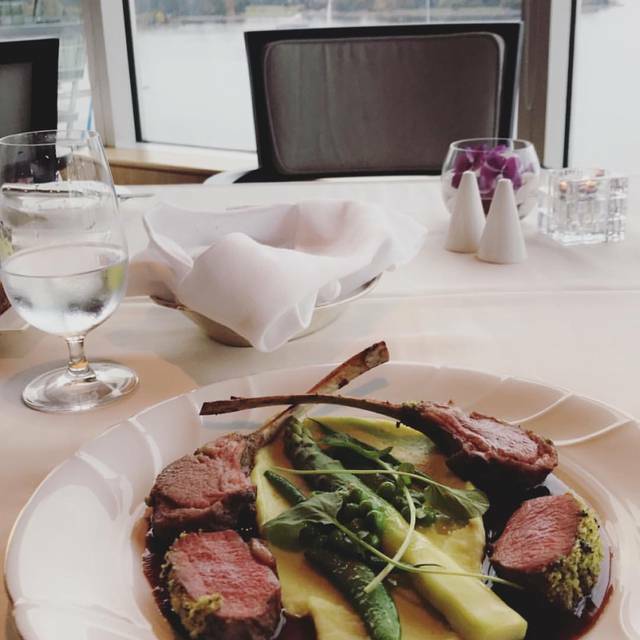 Enjoy our spectacular natural backdrop with breathtaking views of Vancouver's inner harbour and local mountains in a beautiful restaurant setting and experience Chef/Owner Ernst Dorfler's modern classics with European influences for your Mother's Day celebration. Very delicate food, excellent ocean view, very professional service. Dropped in with my husband tonight. The view was amazing! The food was perfection, the service was incredible. We had duck, steak, lobster bisque, and multiple glasses of wine and when the bill came it was surprisingly affordable. It was a great experience. Quiet place and has a nice view. Good location. Food is a little bit Pricey. Such a fancy restaurant. Five stars for Five Sails. We had a wonderful birthday dinner for partner, on vacation from the UK. First the view was amazing. Second the staff were top class - perfectly judged, great suggestions, lovely rapport. And the food was really good from veggie to Kobe beef ! Thanks for a really memorable meal. 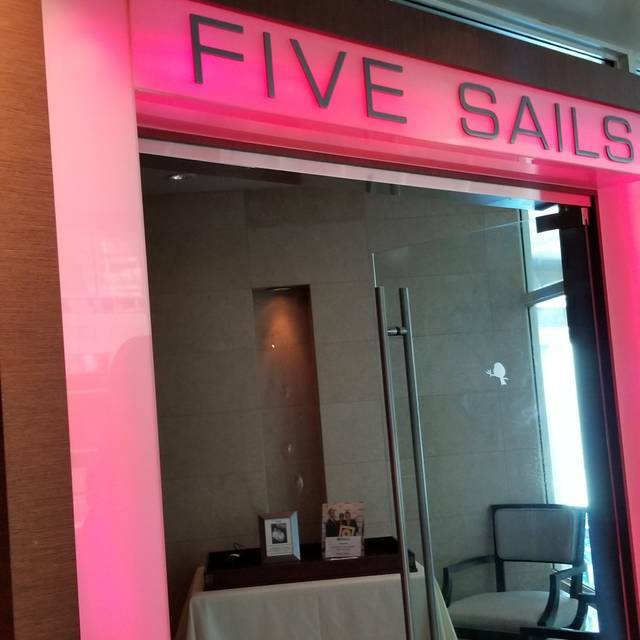 Five Sails is definitely for special occasions as the view and food are spectacular. The service and presentations of food are great too. Glad we came here on our visit to Vancouver. I went alone for an early dinner, and the food and service could not have been better (and I was lucky the spring halibut was available). Old school style and new world flavor. Real attention to detail. Just excellent. Overall, I give it 4 stars because waitress was not very attentive. She also forgot simple requests,such as Cappuchino with dessert not after. It was a great choice for a birthday meal. Small portions, a bit pricey . I was not full at the end of my meal, but was satisfied with quality. Even on a rainy evening, the views are great but are surpassed by the amazing food. The attention to detail by the staff is also great. We will definitely be back to enjoy. Lovely restaurant and views. Not ideal for a family dinner which is probably not their audience. Excellent food and good service. Recommended for a “posh” night out. In our opinion the best restaurant in Vancouver. On a nice evening the view is nothing short of outstanding. My only suggestion is that there could be more BC wines featured. There are a lot of reasonably good wines coming from the Okanagan valley. We had a fantastic night. Food were excellent as well as the service was excellent. View was pretty good. We're sitting right overlooking the water and the bridge. Price was not that bad. We'll come back again. That was our second time actually. We loved our experienced before. That's why we came back again. Good food, good service as usual! If I could figure out how to do it, I'd give six stars. Lamb was exquisite. Sablefish likewise. Lobster bisque full of flavor. Wow, steak was amazing, the suffle incredible. We are planning another visit to night. From the moment we walked in, our experience was superb. Gracious and attentive service and wonderfully flavorful dishes were complemented by suggested wine pairings that made this a notable dinner. I warmly recommend Five Sails. It was a fitting culmination of our meeting with best friends for several days in Vancouver - and the weather was most congenial! Sail on! Truly a superb experience. My wife and I dine all over the world at the finest restaurants and this is if Michelin Star quality. The view and ambience were magnificent. The tasting menu was creative and balanced. 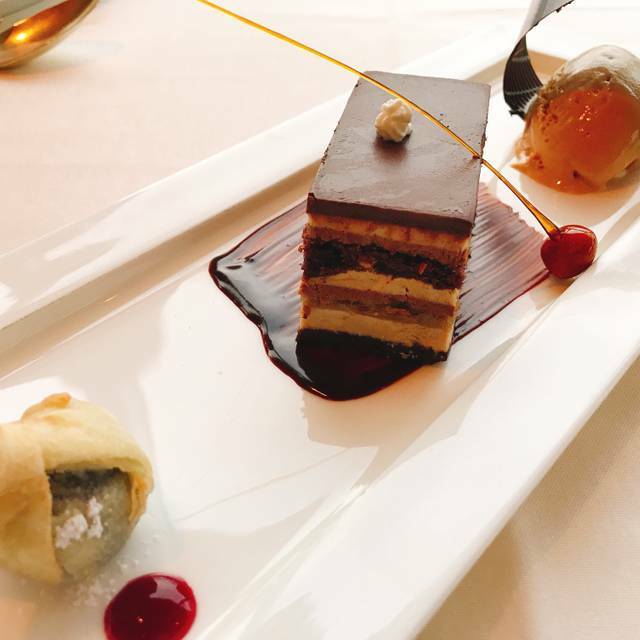 A beautiful mélange of flavors and textures. The wine parings went well with the dishes which were served a little too quickly for our leisurely pace ... but that is a quibble. Celebrated my 30th birthday there! The service was amazing, staff extremely professional and attentive. Food was delicious, view was stunning! We’ll be back for sure! Outstaning on all levels. We were celebrating three generations of birthdays and the restaurant made everyone feel very special. Soufflé for dessert is an absolute must! Great food, great view, great service. An outstanding experience. from the arrival time being greeted by the hostess and the server taking our order the food presentation and food are second to none. it was really a fine dining serving to start to finish. the staff are all professional and no question on my mind that five sails is still the best in town. The whole evening was just awesome. 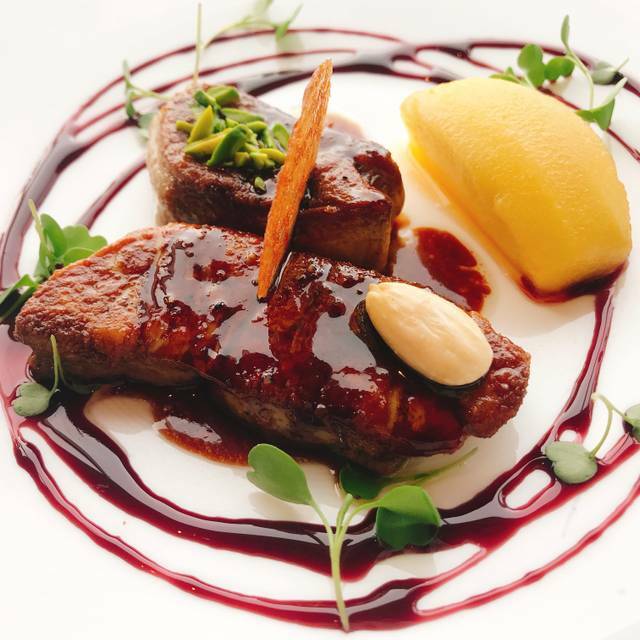 The food was exquisite, the wine excellent and the service very good. We have dined here many time and the food and service are always impeccable! Service was great! Ambience and view terrific. Food was good but not outstanding, especially given the gourmet prices. Amazing place! Excellent food,great service and a beautiful view. My new favourite restaurant!! What a great experience it has been! Excellent chef's tasting menu with wine pairings, all dishes tender and delicious. Attentive service from staff who were very well informed. Ambience slightly disrupted by large, loud party not adherent to dress code - they left early into the dinner however. Went there for my birthday dinner. We were given a great table overlooking the water. Our server was hard to understand as we often had to ask him to repeat himself. He spoke very rushed and with a heavy accent. We ordered a bottle of wine which we were left to top up ourselves over the course of the evening as our server seemed more interested in his other tables. The food was disappointing. 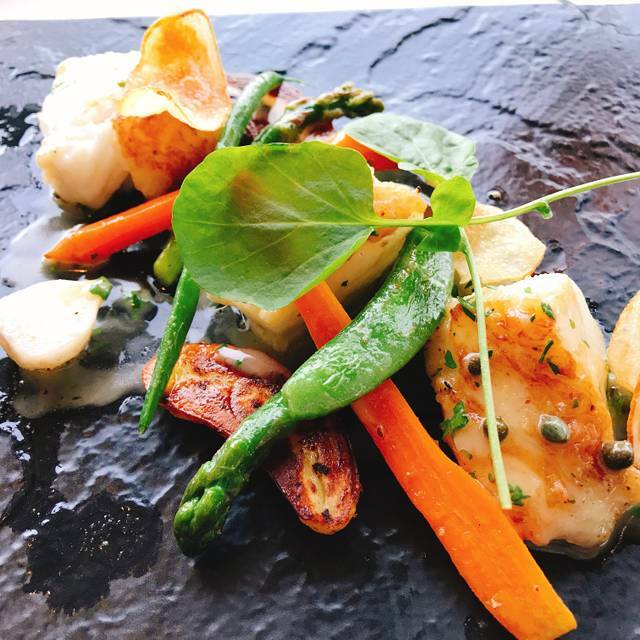 We specifically chose to visit Five Sails as they advertised truffle in two of their dishes on the menu however when we got the dish you couldn’t taste truffle at all. I inquired about this and first they indicated there was no truffle in that dish but when I pointed out the menu they said that they only minimally infuse butter with truffle but it’s not very intense. Fair enough but if that’s the case don’t advertise truffle because it set up for my expectations to fall short. Had I known that I might have chose a different dish. Also the veal portion was only 3oz. Very tiny for the price. 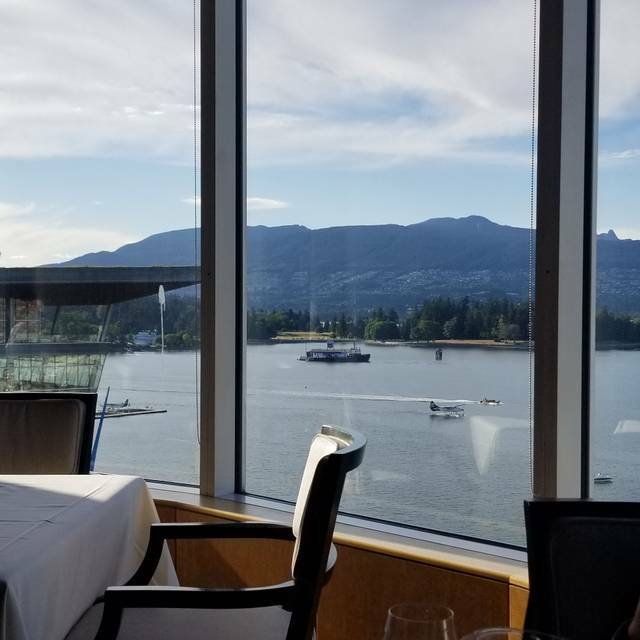 Over the course of the week in Vancouver we ate at several high end establishments and noticed we received significantly more at other restaurants with the same quality and price. As huge foodies, we wished we had picked a better restaurant to celebrate and I don’t think we will be back when there are so many great options in the city. Celebration Birthday my pre birthday and my brother early birthday. Family gathering. We had a great experience. Service was excellent. Food was excellent and a great wine selection also. The service was great, though prices could have been better. Quite pricey for small portions. We were there with our family & cant say enough about it. The service, the food & the ambiance was amazing! Will definitely come back next time we’re in Vancouver. It's hard to choose another place in Vancouver when thinking of a high-end dinner reservation. I perused all of the other options, all very fine restaurants with great reviews, but in the end, the view and the ambiance, along with the great food, service and friendliness wins out every time! The food and service were excellent, could not ask for better. The view and atmosphere were incredible. Had a great time there. Always nice to be remembered and welcomed so warmly when we arrived (early) for our reservation. Everything is just so seamless. Our meals were perfect and served as requested. The view is awesome. And of course, Gerry is the perfect host. We'll be back soon as there are a few menu items that still need sampling.